Gluten Free. 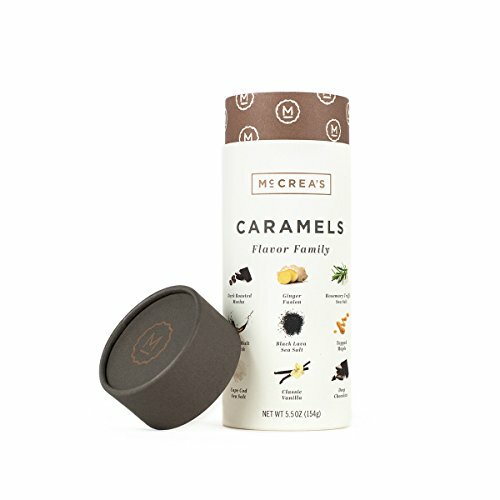 You will receive one 5.5 ounce sleeve of handcrafted candy - 17-19 individually wrapped caramels. Beautifully packaged and perfect for gift giving. A handcrafted collection of traditional and unexpected favorites. Something for everyone. Dark Roasted Mocha, Ginger Fusion, Rosemary Truffle Sea Salt, Highland Scotch, Black Lava Sea Salt, Tapped Maple, Cape Cod Sea Salt, Classic Vanilla, Deep Chocolate.